Preset List Names...or just numbers? I recently bought the Blackhold vst plugin. I am using in vst host software for live performance, rather than in a DAW. Looking at some of the other posts, it "seems" this is a common problem with all of the Eventide plugins, right? Or am I missing something? HOW ON EARTH - could you not test your software? What's really sad is cheapo companies with no resources seem to be able to provide preset lists with names. Maybe that's why the plugin was on sale? Is the vst host or installation....or is it Eventide?? 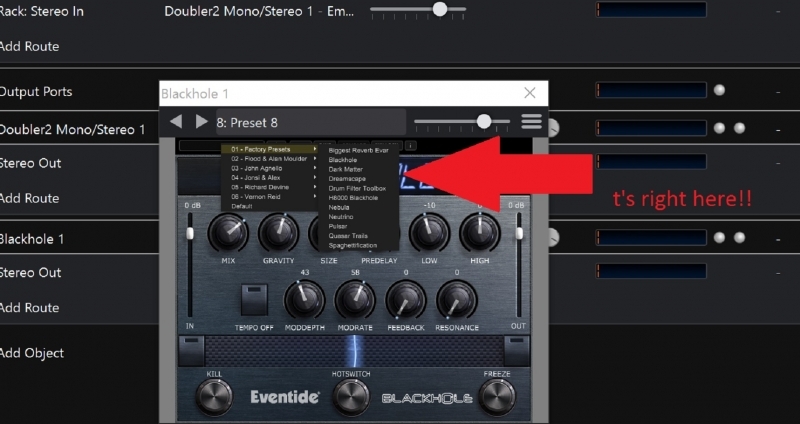 All Eventide plug-ins have a custom preset dropdown at the top left hand corner of the plug-in. If you click on that drop down, the presets should appear with their names. 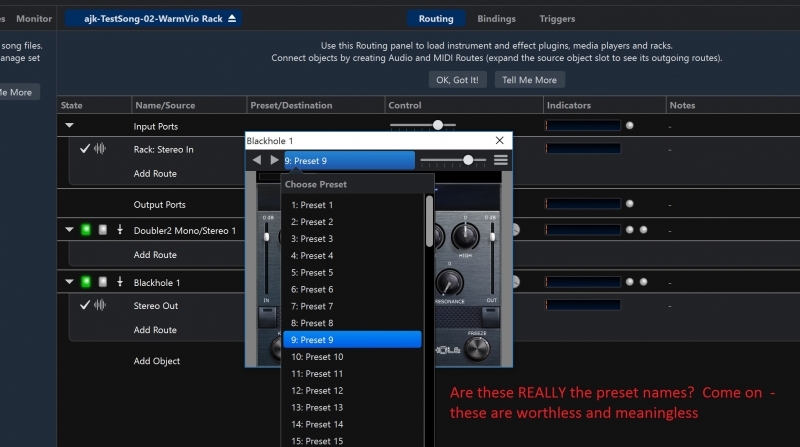 I believe the preset menu in Cantabile is for saving different plug-in states that you can switch between during a song performance, not for loading different presets that the plug-in ships with.